A cross-party group of MPs has backed a campaign to cut the high rate of school exclusions among children with autism. Charity Ambitious about Autism launched the campaign after their research revealed that up to 28,000 autistic children are thought to have been excluded in a single year. 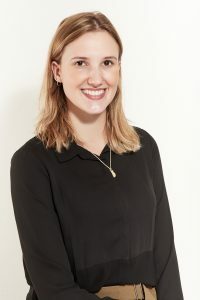 Charlotte Lore, the charity’s head of marketing, said the campaign has attracted support from 23 MPs, with Conservative, Labour, Liberal Democrat and SNP members all giving their backing. She said: “We’re really pleased – for us it’s a three-year campaign and this is just the initial start. Cheryl Gillan, Conservative MP for Chesham and Amersham, was among those supporting the campaign. 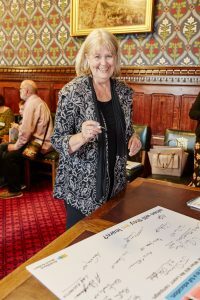 Gillan chairs the All Party Parliamentary Group on Autism and supported a recent Ambitious about Autism campaign to get more adults with the condition into work. Gillan said: “We need to do everything we can to increase awareness of the needs of pupils on the autism spectrum. A survey of parents for Ambitious about Autism’s report, entitled Ruled Out, revealed that between July 2012 and August 2013 four in 10 children with autism in England were illegally excluded from school. If applied to all of England’s 70,785 children with autism, this would equate to around 28,000 illegal exclusions. Informal exclusions were the most common uncovered by the charity. These can include situations where parents are asked to take their child home because a learning support assistant is off ill. Though parents will often oblige, the exclusions are illegal. Schools have a legal right to formally exclude a child on the grounds of child safety and the safety of staff or other pupils, but this should only be used as a last resort.